Introducing Cricut Maker - the ultimate smart cutting machine. With its revolutionary Adaptive Tool System and expandable suite of tools, Cricut Maker gives you the freedom to make virtually any DIY project you can imagine. 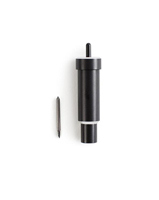 Use the Rotary Blade to cut fabric for a sewing project - without backing material. Switch to the Knife Blade and cut chipboard for added dimension and depth. Cricut Maker has the tools to cut hundreds of materials quickly and accurately, from the most delicate fabric and paper to matboard and leather. Featuring unique cutting versatility, a huge library of design ideas and sewing patterns available instantly, and easy-to-use apps, Cricut Maker delivers professional-level cutting performance that anyone can use. 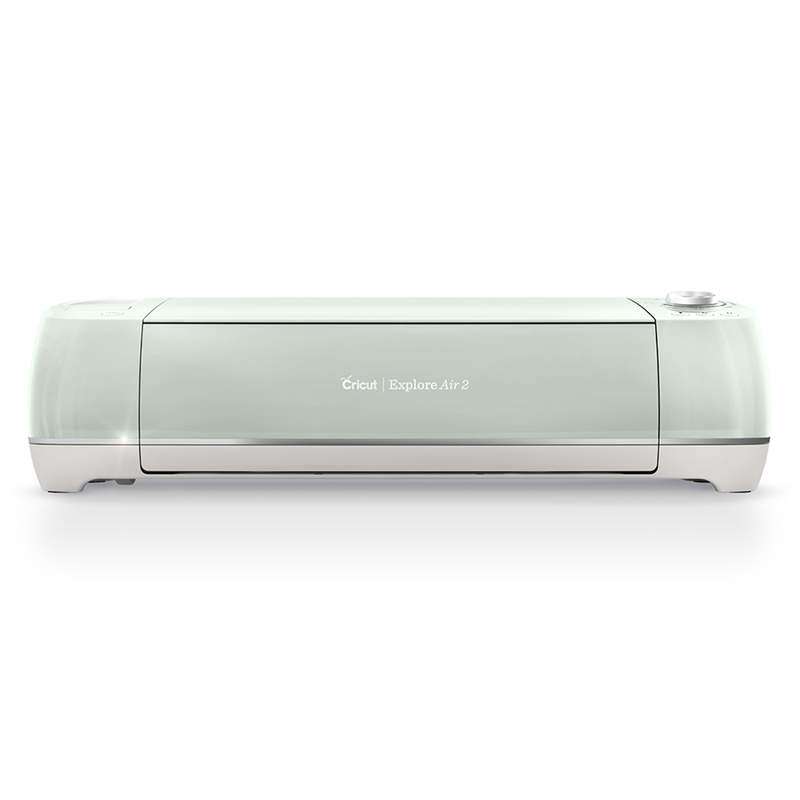 Meet Cricut Explore Air 2. Cut and write up to 2 times faster than previous Cricut Explore models with this DIY speed machine. Cricut Explore Air 2 cuts over 100 materials  everything from cardstock, vinyl, and iron-on to thicker materials like leather. Quickly. Beautifully. From cards to custom t-shirts to home décor, Cricut helps you create DIY projects in minutes. Design on the go on your favorite laptop, iPad or iPhone. 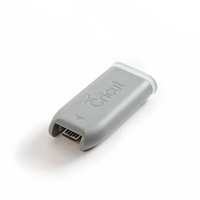 Connect your Cricut Explore machine to your computer wirelessly with the Bluetooth® Adapter. Cut or write your projects without connecting via a USBperfect for users who want to create on their own terms. The Wireless Bluetooth® Adapter can be paired with up to eight host devices (laptops, PCs, or tablets) at a time. The Bluetooth® adapter lets you design on your computer or iPad and create your projects wirelessly with the Cricut Explore machine! Simply plug the adapter in to the utility port on your Cricut Explore, pair your device, and start cutting. Cut more, make more. Get precise cuts through thicker or denser materials such as balsa wood, leather, craft foam, and more. Add texture and dimension to your projects. 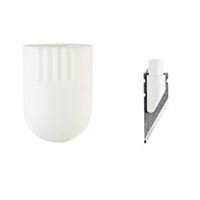  Basswood, up to 1/16"
Replacement blade that fits 2003918 Knife Blade Drive Housing (sold separately) for precise cuts through thicker or denser materials such as balsa, matboard, leather, craft foam, and more. Add texture and dimension to your projects. The Cricut Explore Deep Cut Housing & Blade makes it easy to cut a wider variety of materials for your projects. Construct personalized wall calendars from chipboard, use rubber sheets to cut your own stamps, or even make custom magnets. The Cricut Explore machine can cut most materials up to 1.5mm thickness with the Cricut Explore Deep Cut Blade, so you can cut heavy fabric, poster board, heavy cardstock, and more. This combo pack includes two professional-quality scoring wheels that give you extra-deep score lines and a flawless finish on everyday and specialty material projects. From flawlessly finished tags, cards, and gift boxes to jaw-dropping wearable art, 3D home decor, structures, and more, youll bring pro-level precision to every possible score-and-fold project. Get crisp creases in one pass. Make perfect, effortless folds. 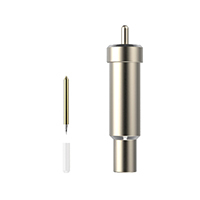 With up to 10X more pressure than the Scoring Stylus, the patented wheel design takes on thin, thick, and even coated paper materials with ease. Includes Scoring and Double Scoring Wheel Tips and QuickSwap Housing for interchangeable tool use. For use with the Cricut Maker Machines only. The Cricut® German Carbide Premium Blade resists wear and breakage for longer life allowing for even more project possibilities with hours of cutting. Blades are designed to cut light- to mid-weight materials such as cardstock, vinyl, iron-on, poster board and light-weight fabrics. The number of cuts your blade can perform is dependent on the various types of materials you are cutting; however, the improved German carbide blade design offers lasting sharpness for longer blade life. 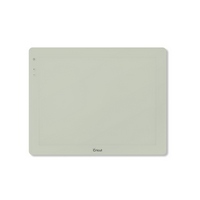 Use the Cricut® Tools Spatula to precisely lift images from the Cricut® cutting mat, preventing intricate images from tearing or curling. The angled head of the spatula allows it to slide underneath the material with ease. Change the end cap to customize your own style and personality. 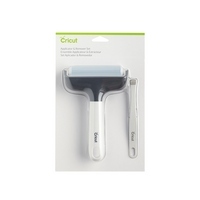 The Cricut® Tools Scraper is custom designed to scrape and clean unwanted scraps from any Cricut® cutting mat, contributing to a longer lasting mat. 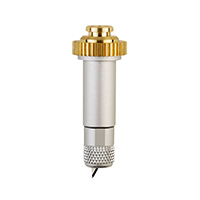 It is also useful for burnishing vinyl during application as well as smoothing materials onto the cutting mat. Cricut® Transfer tape was specifically designed to make transferring vinyl cuts to different surfaces a cinch. Now new and improved, our tape holds better during material transfer and offers a clean release once you have fixed your material in place. Each roll comes with one 12 x 48 tape sheet. 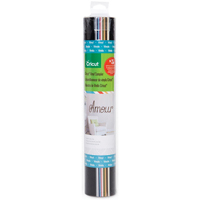 The clear transfer material helps you to easily see when placing perfectly spaced and arranged vinyl cuts to their surface. 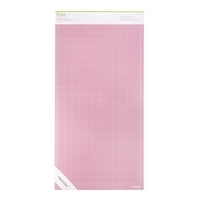 The light printed grid will assist in aligning your project precisely. With our large variety of Cricut® images and fonts, you can customize your home and belongings to fit your very own style! Cricut® Vinyl makes it easy to personalize your home with customized quotes, message boards, removable labels, chore charts, and calendars or you could even customize your school supplies. Each roll comes with one 12 x 48 vinyl sheet. 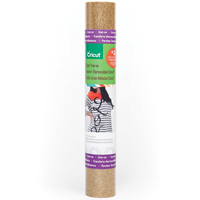 Cricut® Transfer Tape makes applying the vinyl a cinch. Cricut® Vinyl is easily removable, making it convenient to change things up every now and then. You can even decorate your walls for each coming holiday. With our large variety of Cricut® images and fonts, you can customize your home and belongings to fit your very own style! Twelve 12" x 12" sheets of Cricut Vinyl in Honey, Berry, Sky, Denim, Olive, Blush, Pebble, Caramel, Cocoa, Midnight, Linen, and Silver. For best results, carefully follow the cutting and application instructions found within the Cricut Vinyl packaging. Use the weeding tool found in the Cricut Tool Kit to remove of negative pieces of Cricut Vinyl. 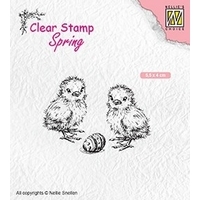 Cricut Iron-on Glitter is a decorative heat transfer film that will make your projects sparkle. You can use it to quickly and easily personalize apparel, fashion accessories, home decor, and so much more! 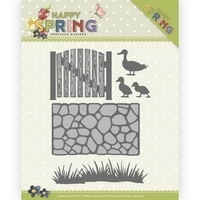 It's available in multiple colors and can be layered on top of Cricut Iron-on Lite for added dimension. Package includes one 12" x 19" roll in silver. 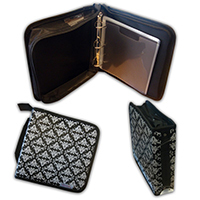 Cricut® Iron-on Lite is a decorative heat transfer film that makes apparel and accessories all your own. Use one color or layer multiple colors to personalize everything from sports team wear, t-shirts, and jackets to bags, aprons, scarves, and hats. You can even customize home décor items such as pillows, blankets, basket liners, and wall hangings. 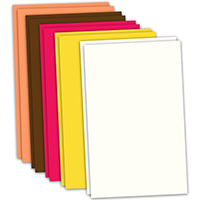 Cricut® Iron-on sheets are made up of two parts. 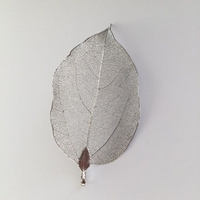 The film is the actual material that will be ironed onto your project, and the liner is the carrier sheet that holds the design in place and protects your iron during the application process. Cricut Iron-on Glitter is a decorative heat transfer film that will make your projects sparkle. You can use it to quickly and easily personalize apparel, fashion accessories, home decor, and so much more! It's available in multiple colors and can be layered on top of Cricut Iron-on Lite for added dimension. 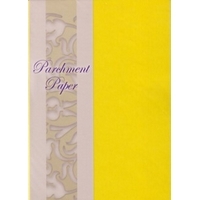 Package includes one 12" x 19" roll in Gold. Cricut Iron-on Glitter is a decorative heat transfer film that will make your projects sparkle. You can use it to quickly and easily personalize apparel, fashion accessories, home decor, and so much more! It's available in multiple colors and can be layered on top of Cricut Iron-on Lite for added dimension. 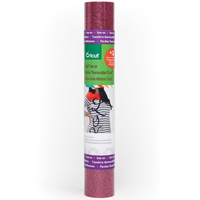 Package includes one 12" x 19" roll in Pink. Make colorful DIY stickers with Cricut® Printable Sticker Paper. The Print then Cut feature gives you endless color possibilities, using your home printer and Cricut Explore® machine to print and cut out nearly any image cleanly and preciselyno scissors required! The Cricut® Image Library contains 50,000+ images ready to print and cut, and the auto-match color bleed ensures youll never need to trim away extra white space from your project. Please Note: For best results, remove all paper from your printer tray, then put one sheet of sticker paper in the printer at a time. Its a cinch to precisely cut straight lines when you use the 12" Portable Trimmer. A unique easy-glide blade system yields precise, straight cuts every time, while an ergonomic, custom-fit handle provides a smooth grip over hundreds of cuts. The dual-hinged rail makes it simple to quickly load materials, measure, and cut from either side. Continuous measuring marks, rulers in inches and centimeters, and ¼" grid marksalong with a 15" (38 cm) swing-out armhelp you measure for accurate results. Keep replacement blades in the convenient storage compartments on the underside of the trimmer. 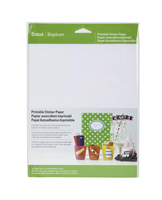 Make perfect paper creations with the Cricut® Paper Crafting Set. 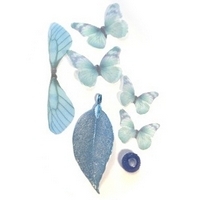 This set includes all you need for professional-looking projects: Piercer, Quilling Tool, Distresser, and Craft Mat. With the perfect blend of a delicate grip and increased strength of durability, the FabricGrip Mat secures your fabric and resists the cutting force of the Rotary Blade. 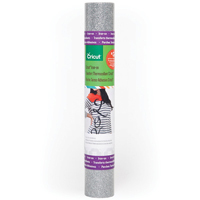 This specialty mat is made from higher-density, higher-quality PVC to withstand increased cutting pressure. 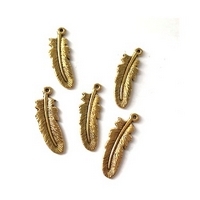 Its adhesive grip keeps fabrics in place for precise cuts and easy release. Use it to cut silk, canvas, burlap, cotton, and more. Place fabric on the mat, and press to smooth down and secure. 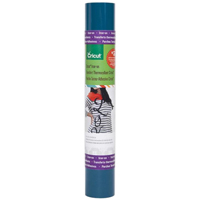 If adhesive is weakened, use brayer, rolling pin, or other tube-shaped object to help secure material. For best results, use the Cricut Applicator & Remover Set for quick and easy material application and to remove tiny cuts and threads. 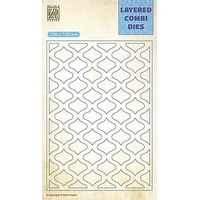 Replace your cutting mat when needed and use protective sheet to keep clean when not in use. 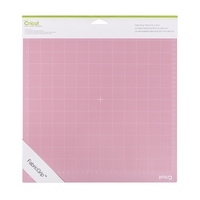 Extend the life of your Cricut FabricGrip cutting mat with this two-for-one toolset designed for flawless fabric application and removal. 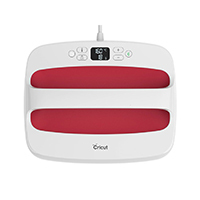 Eliminates every last wrinkle, kink, bubble, and pucker with the elegantly designed Cricut brayer. 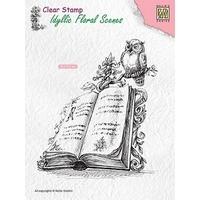 It firmly adheres material to your cutting mat and is perfect for pressing down fabric, vinyl, or iron-on, as well as inking blocks for printmaking. Steel broad-tip tweezers make it easy to lift fine threads and excess material from the mat without ever touching the adhesive. Youll measure, cut, pin, and stitch in style with this premium kit that includes every essential for all of your sewing and quilting crafts. 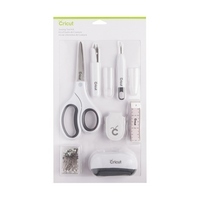 This all-in-one kit includes 7 sewing and quilting essentials and is the ideal companion for the Cricut Maker. It even includes an adorable Pin Cushion that looks like a mini Cricut machine! Stay sharp and creative with the Premium Fine-Point Blade! It delivers long-lasting precision cutting, so youre always ready for impressive DIY. Made from German carbide steel, this versatile blade was specially designed to make the most intricate cuts with your Cricut machines. It resists wear and breakage to beautifully cut most lightweight to mediumweight materials, including cardstock, vinyl, iron-on, poster board, and more. 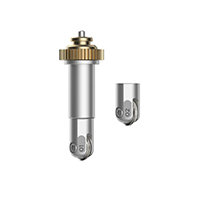 Use with gold Premium Fine-Point Housing and silver Fine-Point Housing. 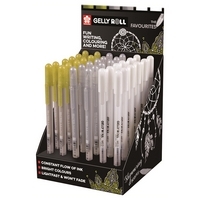 For results youll always love, replace gold Premium Fine-Point blades when needed. The lightweight, low-profile BrightPad makes crafting easier while reducing eye strain. It illuminates fine lines for tracing, cut lines for weeding, and more. A magnificent mat of many layers! Protect your surface area and achieve flawless iron-on applications every time with this essential Cricut EasyPress companion. 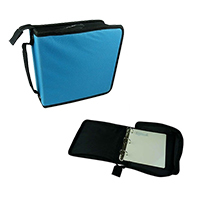 The durable cover provides thermal conductivity and even heat distribution. A special inner liner wicks moisture to deliver clean, dry heat. The foil membrane reflects heat to your project and prevents moisture vapor transfer, while the silicone foam provides insulation and shields your surface from damaging heat. Finally, the soft, protective bottom barrier seals layers together for flawless results. Mat is also perfect for pressing sewing projects. Cricut EasyPress gives you professional iron-on results in 60 seconds or less. Combining the speed of a heat press and the convenience of iron, EasyPress eliminates guesswork so you get fast and foolproof results that really stick, even after repeated washes. Use Cricut's handy reference chart to determine correct time and temperature settings for your project, apply gentle pressure, and when the beep sounds, you're done! 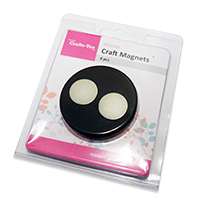 With adjustable heat up to 400 F (205 C), ideal for foil, glitter and metallic projects as well as large and layered projects. Helpful safety features include an insulated resting base and auto-shutoff feature. EasyPress is lightweight, portable, easy to store, and compatible with major brands of heat-transfer material. And of course, it is a perfect complement to Cricut cutting machines. 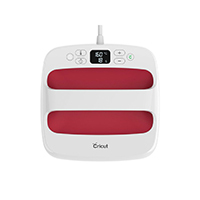 Cricut EasyPress Mat 16" x 20"
Protect your surface area and achieve flawless iron-on applications every time with this essential Cricut EasyPress companion. 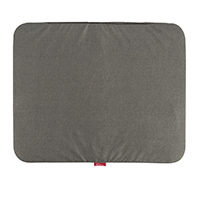 The durable cover provides thermal conductivity and even heat distribution. A special inner liner wicks moisture to deliver clean, dry heat. The foil membrane reflects heat to your project and prevents moisture vapor transfer, while the silicone foam provides insulation and shields your surface from damaging heat. Finally, the soft, protective bottom barrier seals layers together for flawless results. Mat is also perfect for pressing sewing projects. Cricut EasyPress Mat 8" x 10"